So, what’s the big difference between cotton and polyester fabric? There are those who swear by cotton, but cheaper polyester is pretty tempting, isn’t it? You may think that the lower cost of polyester means a lower quality product, but that isn’t necessarily the case. Polyester is great for some projects, while cotton is great for others. The real trick is to weigh the pros and cons to decide which is the right choice for you. Some people only want to work with 100% cotton because it’s so easy to sew and is predictable. You know exactly what you’re getting. Others prefer polyester because it’s long-lasting and usually less expensive. Breathable: This natural fiber lets your skin breathe. It also absorbs moisture to keep your body temperature stable. Soft, but strong: The fibers are less abrasive than polyester, so it feels super soft on your skin. That being said, some cotton fabric is designed to be strong and rough, like heavy duty cotton canvas. It all depends on the weave and the finish. Great for sensitive skin: Because it is so much softer, those with sensitive skin tolerate 100% cotton better than polyester. With organic products becoming increasingly popular, you can find cotton fabric made with very little chemical processing. Easy to dye: The fibers hold dye incredibly well. It also tends to dye evenly and produce a truer, deeper color. However, with excessive exposure to sunlight and time (decades), the dye will eventually fade. Also, cotton will shrink with the first washing and drying. Biodegradable: Cotton will break down over time. Cotton isn’t as durable as polyester in the long run. However, proper care can prolong the life of cotton. Try to avoid prolonged exposure to excessive sunlight and moisture. 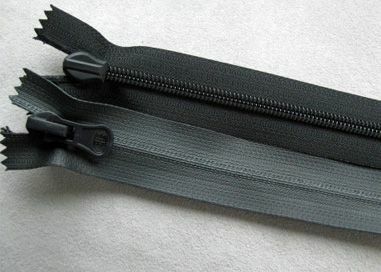 Long lasting: Polyester is a man-made fiber. It’s very resilient and can withstand a good deal of wear and tear. It’s basically plastic. In fact, plastic bottles can be recycled into polyester fabric. 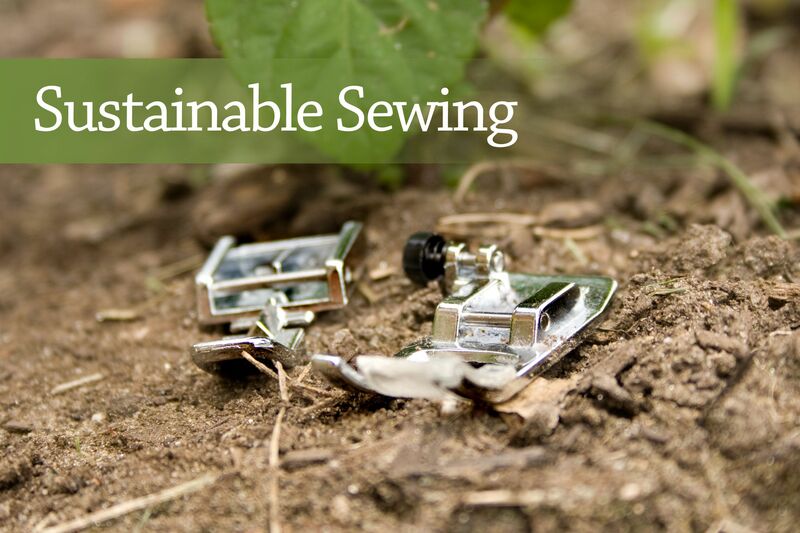 Polyester is not compostable, meaning it doesn’t break down well in soil. Think about this in a landfill. Less fading: Polyester holds dye well to prevent fading, but doesn’t produce as “rich” of a color as cotton. High-quality polyester holds its shape well and doesn’t shrink. Dries quickly: Unlike cotton, polyester isn’t absorbent. It’s definitely not your go-to for towels. However, it dries super fast. So if you want to reduce that electricity bill, you might want to sew polyester clothing. 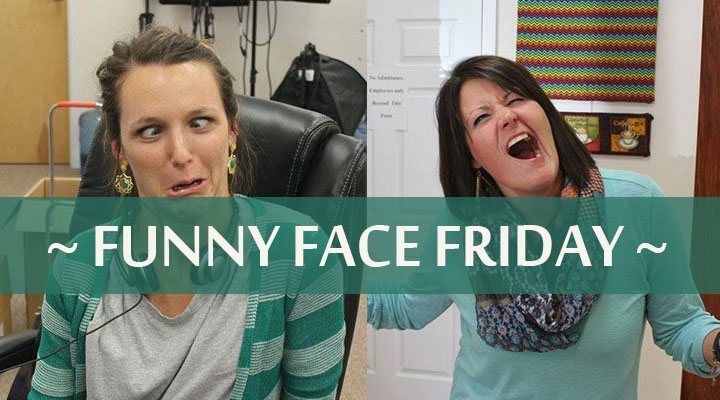 Less wrinkling: It’s more resistant to wrinkles than cotton. This is great for anyone who dreads ironing. Nonbreathing: Polyester doesn’t let your skin breathe like cotton. For instance, if you wear a polyester shirt in the summer, you might find yourself pretty sweaty. That being said, there are many performance wear polyester products specifically engineered to wick sweat away from your body, but it really only works if the fabric is skin tight. If you buy a low-quality product, you’ll notice a weird after smell. This is the best of both worlds. Developers take the best qualities of both and weave them together to make one heck of a fabric. This stuff is great for apparel and home decor. Quilters will still tell you to stick to 100% cotton and they have good reasons to say that. It’s easy to use, it’s predictable, and it shrinks at the same rate. I say experiment with as much fabric as you can and see what you like best. It’s all about the individual sewist and how you like to sew. This can make or break it for some people. Many people prefer cotton because it is a plant-based product and is “sustainable”. Now, take a look at the two photos below. Pretty similar, right? 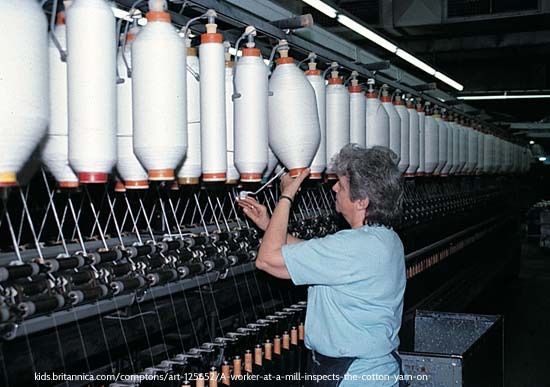 The first image is a cotton factory and the second image is a polyester factory. Either way, both fabrics are created in power-sucking factories. Both go through multiple chemical processes to make the final product and both products will be shipped around the globe. Even when you consider that polyester can be made from recycled plastic bottles, check out the huge process it goes through. Now, consider all of the chemicals pumped into the atmosphere and all of the energy used to power the plants. Before you start hating polyester, just know cotton has a dirty side, too. Cotton farming uses the most pesticides of any crop in the world. Every time it rains or the plant decomposes, chemicals leak into the ground water and surrounding water sources. Cotton takes a ton of land to grow and that land has to be watered a lot! Then, it all needs to be harvested using motorized farming equipment. Unless those tractors run on solar power, they aren’t great for the environment. Do you want to really be eco-friendly? 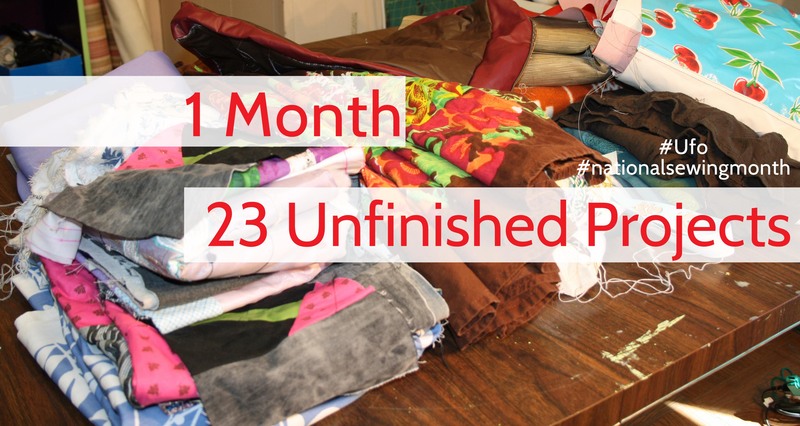 Up-cycle and sew every scrap. 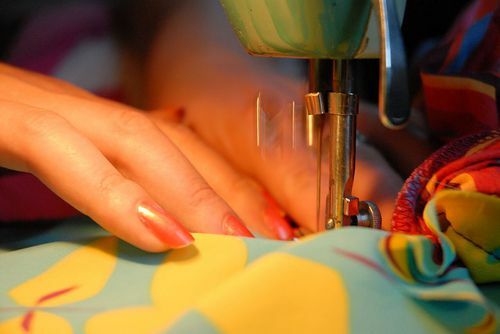 Use your sewing skills to fix your clothing and home goods instead of buying new. You could also start your own organic cotton fields. You could hand pick and process the cotton, then weave your own fabric. I guess that would be the most eco-friendly. Personally, I’m sticking with fabric off the bolt. Hey, I recycle. Don’t judge. 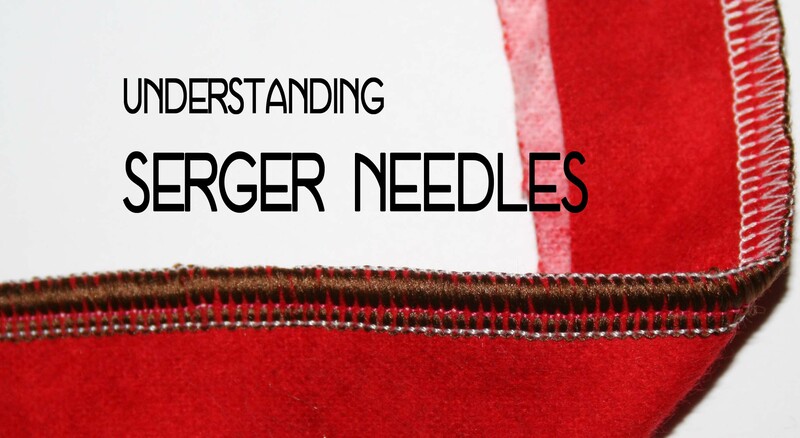 What Needles Can Be Used With a Serger? 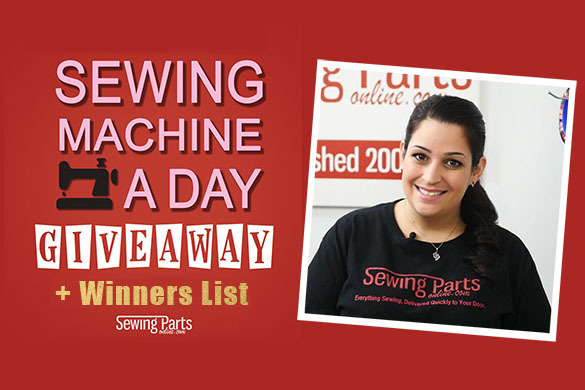 Do You Want A Free Sewing Machine? 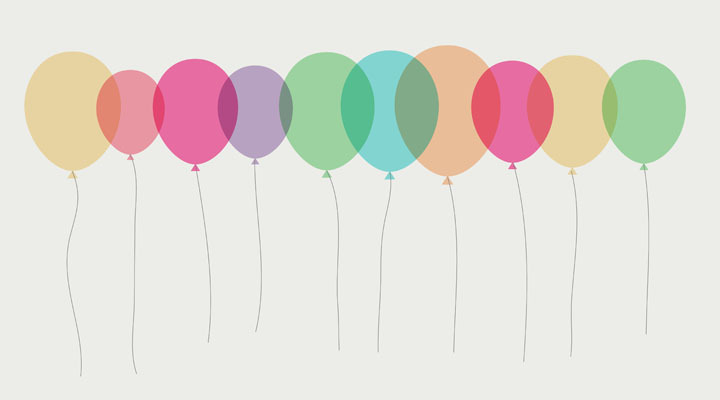 Enter Our Giveaway and See Past Winners! thankyou for giving us this article!!! 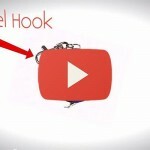 Very helpful info in your article, much appreciated! I also learned more just reading the comments/answers! Is cationic polyester just a cotton/poly blend? Is it a sweat wicking fabric? Hello! From the definition I have found on that blend, it states that it is a special polyester fibre that can be coloured with cationic dye, unlike ordinary polyester fibres. It does not state that it is a cotton/poly blend. I also would not suggest using this for a sweat wicking fabric. I hope this helps! Which is better for Batik, Polyester or Cotton?? I would suggest using Cotton for Batik. Nice article, I love this. But i want to ask you these: 1. For a T-shirt production which will you advice? 2. How will I know a Poly-cotton material? I buy fabrics and sew, and i want to go into T-shirt production. 3. Which fabric is the best Polyester, Cotton or Poly-cotton? I would suggest going with a Poly-cotton blend for fabric and the information should be stated on the tag or somewhere on the details of the fabric. However, this is pure preference. I hope this helps! Hello! Thanks for this article. I’m planning to make pants for a costume and I found a poplin fabric in the perfect colour that is 80% polyester and 20% cotton. My main concern is will it be breathable if it has less cotton than polyester? Doing some research on this particular fabric, I am showing that it is strong, cool, and lightweight. Although it 80% polyester, as a costume, you shouldn’t have any issues with it. Hi. What’s best for a Kimono? Polyester or Cotton? The great thing about sewing your own, it is purely preference! However, I like cotton for the breathability. You are right on the polyester having a smell after shedding sweat. Helpful article though! Cheers! On no I’m bummed! I have a polyester sofa/loveseat set coming to my beach house this morning!! Is it going to smell??????? If we have a blended fabric of cotton 40% and polyster 60%,what would be the suitable name for the fabric? maybe polly cotton? and is it appropriate to only call it :cotton ? since it is only 40% ? Hello Zoe! I am sorry, but I could not find a suitable name for that blend of fabric. The closest thing that I could find it referred to as is either 40/60 Cotton and Polyester Blend, or 40 Cotton 60 Polyester Fabric. I would classify it as mainly polyester. I am sorry I could not provide more information. I hope this helps! Hi Sarah….well,….I would call it Plasticotton or Plasticot….since it is a bit more Polyester than Cotton. Either way it makes my skin itch like there is no tomorrow. I’ll stick with the cotton. My granddaughter found “the perfect” material that she wants me to make her bedroom curtains out of. The problem is that it is polyester and I don’t know if it would make good curtains. I,ve always used cotton. Any advice? Hello Joann! For this application, it is completely a preference. If she found her fabric, she can definitely use it. 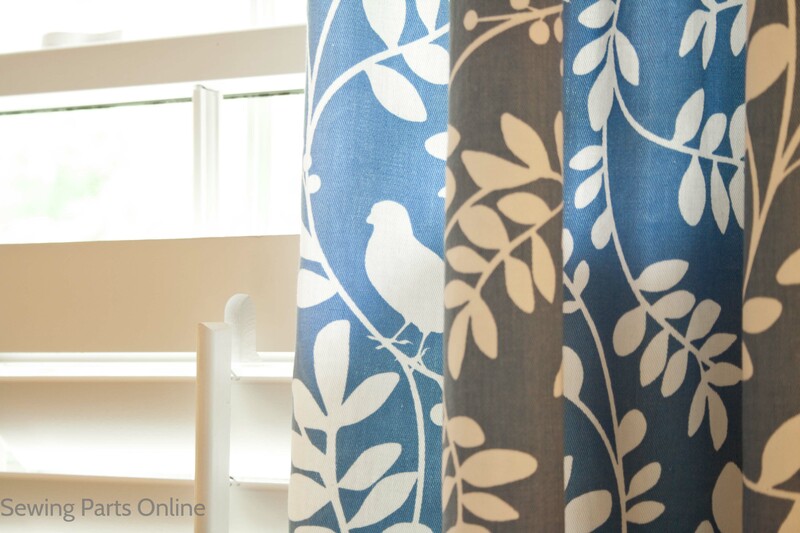 🙂 It is not uncommon to use a polyester fabric for window coverings. I would like to know if polyester can be good to make some bulk bag for fruits and vegetables? I have a faux-linen polyster very flexible I want to make bulk bag for the grocerie. Please let me know what is your opinion. Yes, You should be able to use that. Hi Kathy! I would recommend cotton, primarily for the breathability. Hey I need to create a maternity dress for a school project and I was wondering hat kind of material you would recommend? Hi! I would recommend a cotton jersey knit or nice, breathable linen. Good luck! Hi I’m looking to make women’s blazers. Can you tell me what material would be best to start with? Hi, Krystal! I would start with a natural fiber – cotton, wool, etc. Be sure to make a muslin draft first to test the fit. Good luck! I’m looking for a sweatshirt that is comfortable with some give. I like a looser more comfy fit. Should I choose one with more cotton, more polyester or a blend? Hi! I personally prefer cotton. Can you make suggestions of the best fabrics to use in making hot pad holders? Hi! Yes I really like using quilting cotton and a heat resistant insulated batting. If that bot available, a wool batting works well. Less fading: Polyester holds dye well to prevent fading, but doesn’t produce as “rich” of a color as polyester. SAY WHAT? My mistake! It’s supposed to say ‘cotton’. I’ve been making my own clothing for nearly seventy years. (Yes, I’m that old.) I now have health problems and need no-iron or little iron fabrics which translates into non clingy poly-cotton or poly microfiber woven fabric. I’m running out of my stash and haven’t been able to find the fabric I need either online or in stores or even in ready-to-wear. Rayon, the new fashion darling, wrinkles, doesn’t hold up, and tends to cling. I’m allergic to wool and it’s hot here in Texas. Silk needs dry-cleaning. All cotton denim works pretty well, but is not right for all occasions and sometimes it has unacceptable and indelible wrinkles. I’ve looked through your online fabrics and like nearly all other sites, you mainly stock cotton quilting fabrics. Right now I’m concentrating on re-building my wardrobe because most of my old clothes didn’t fit any longer and besides all that, they were wearing out. Please, please stock some age appropriate apparel fabric for your geriatric customers. Hi, Penny! I understand your situation. Right now we aren’t ready to go into fashion fabrics. However, have you tried Mood Fabric? Or the VogueFabricStore.com? I’ve bought a couple jersey fabric from them and really enjoyed it. I believe you have a typo in the polyester section, “Less fading: Polyester holds dye well to prevent fading, but doesn’t produce as “rich” of a color as polyester.” Shouldn’t the last word be cotton? Can I used polycotton for crumbquilting and mix it with cotton. I see polycotton frey after I washed it is that a problem. As long as your fabric is all preshrunk, you can mix your fibers when doing a crumb quilt. The big thing to remember with crumb quilting is to always sew a straight, 1/4″ seam. Being from a southern state I have seeded and hand carded plenty of cotton. I think the largest inefficiency of cotton is the 40% left in the fields after mechanical harvesting. I love to go out in these fields and pick before it is plowed under. I still buy poly-cotton when I buy, except for making underwear. I do not know how to recycle the plastic yet but hope to learn. Thank you for sharing your experience! I had no idea 40% of the cotton was left on the field! Good for you for making use of it! Hi, Margaret! I’m so glad you enjoy our emails and videos – thank you so much for your kind words and support! Broadcloth is simply a dense, woven fabric. Traditionally, broadcloth was made of wool but now comes as cotton and cotton/poly blend. Do you have a link to where you bought the fabric? Or access the original bolt? I will be working in school ,so shirts will be worn daily.What should I buy 6/35 or 55/45. I think the 55/45 will do nicely. Yes, what a great article and thank you for sharing your wealth of information. I cut and stitch my own sports clothing and have found some really great polyester wicking fabric thats is extremely breathable. I buy all my fabric from Thailand through Sugini factory, they have many different fabric options for polyester wicking fabrics for all types of fitness wear. I would also like to add that i have some lightweight polyester t-shirts that are breathable, so i’m not sure if it makes a difference where one buys there fabric from, or where the fabric is produced. Thank you for sharing! I think where fabric is bought from and who makes it does play an important role. Thailand has a great textile industry. Many sofas have polyester filling in the back cushions. However, the seat cushions should be a high-density foam. I’ve been very against synthetic fabrics until re-assessing, and your article is what prompted me to reconsider. It’s similar to the christmas tree debate, some will say it’s better to get a fresh, real, tree each year, and others will say why not just buy one plastic one for however many years (maybe even for life?). 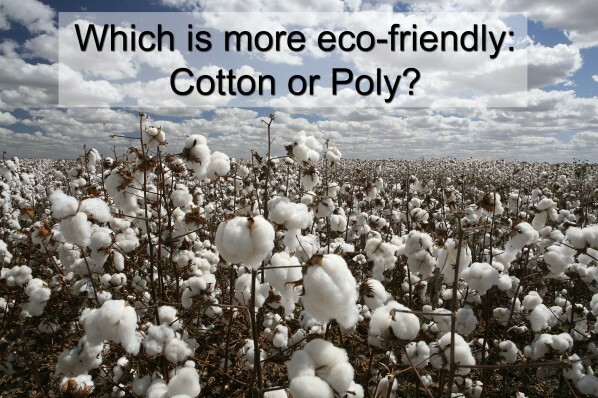 Each has pros and cons, and I think the same goes for cotton v synthetics. I think the one thing that can be sad for synthetics though is that because they are stronger they can last much longer and essentially offset years of equivalent chemicals and growing needed for cotton production. I will now look at things a bit more openly. Obviously an organic solution would be best, but in a world of 8+ billion people, I don’t see that as happening right away. A more realistic option right now might actually be downscaling cotton production and going the upcyclce or recycle route as you had mentioned. Thanks for the insight, it actually has a lot of importance to many of us who are seeking a less chemically-laded life. Hi, Brandon! Thank you so much for your insight! I agree that reducing cotton production would probably be best. All we really need is to focus research on finding out how to efficiently and intelligently turn recycled plastic into polyester fabric without using so much electricity or creating so much waste. I’m sure there is a way to do it, though the initial investment is a bit overwhelming. Sounds like in buying a nice bedroom quilt you would recommend 100% cotton instead of 80% / 20% cotton/ polyester right? I’m having a tough time deciding which to get. I want it light for summer and something that will last. Hi, Nancy! For a light, summer quilt cotton or linen would work best. As long as you stitch with high-quality fabric, it will last a long time. Good luck! hi, I’m thinking of buying a dress for my formal but it is 100% polyester is that fabric a bad idea for my dress? Hi, Toni! Polyester fabric has really come a long way and does a great job at mimicking natural fabric at a fraction of the cost. As long as it’s a high-quality polyester, you should be good! Enjoy your formal! Hi, Claudia! Polyester knit is stretchable. I loved this. I’m starting a site, and while I have a little bit of background in synethics/chemistry, a lot of this is new to me. Sadly, it seems that both processes aren’t exactly environmentally friendly. Organic cotton seems like a start. It is sad that neither is particularly environmentally friendly. However, I think if the refining process can be altered so that the factories are energy efficient and use little water – then polyester made of recycled plastic bottles would be a great choice. Good Article Sarah. I have a couple questions regarding polyester. I didn’t see a way to contact you privately, probably easier than going back and forth on this site. Please see my email and send me a message. I’d love some insight from a professional. I think of making drapes for an outside terrace that gets the morning sun for home in Los Cabos. We have some rain and wind 2 months out of the year. How well will 100% polyester fabric (solid cream color, sheer) hold up under these conditions? Hi, Jan! You would need to invest in outdoor fabric specifically. It can still be 100% polyester, but it needs to have a UV resistance and Mildew resistance coating. I hope that helps! So if a person was on stage with a polyester long sleeve tee shirt would it be best to wear a cotton long sleeve tee underneath it in case of perspiration? Between polyester and cotton which reveals underarm perspiration more? I’d hate for a musician to be on stage with my designs on with sweat all over the shirt. How can that be avoided, which fabric should I use? Great article, thank you so much for sharing! I am going to buy a sweatshirt, but don’t know which material I want. Could you tell me which is better, softer-warmer. 80% cotton, 20%poly. &0% cotton, 30% poly. 80/20 is probably softer, but it all depends on the quality and finish. Some 100% poly is softer than cheap cotton. Generally, quality cotton will be expensive. Hello. I am considering producing baby bibs. What is the best material to be hypo-allerganic, dries fast, absorbant, and comfy for babies? Hi Matan! I recommend a bamboo fabric with either a terry cloth or Minky backing. Bamboo is breathable and absorbent. Good luck! Nice article. 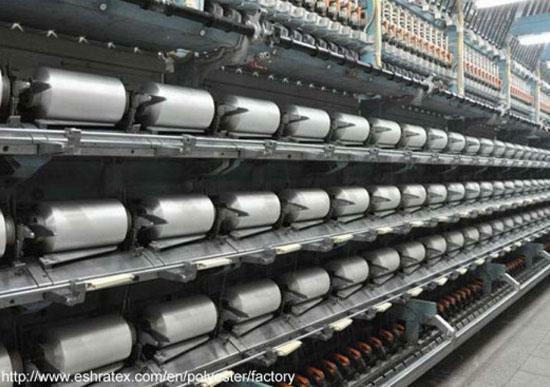 Can you tell me what is better for bedding, cotton or polyester? Hi! It depends. If you want something that can withstand a ton of washing and is high loft, less expensive, go with polyester. If you need something thinner, but very breathable, go with cotton. Keep in mind, cotton tends to be more expensive, but it deals well. Can u tell me when it comes to leggings if they are fuzzy lined on the inside will they still run like the polyester ones? I’m not entirely sure. I would think a lining would increase the strength, thereby eliminating runs, but I’m not 100% sure. I love how straight to the point your article is. Kudos to you! I just started making my own clothes and sewing, and I really enjoyed your article. Right now, I LOVE cotton just because I love it. Don’t know where I’ll be heading in the future, but having a lot of fun right now. I don’t buy cotton being more breathable than poly, my body gets to feel suffocated with cotton, while with poly it feels a much softer fabric and cooler. Sport athletes wear poly because of it, cotton would be unbearable since it absorbs all the sweat. Exactly it makes no sense to say cotton is softer since plaster is lighter and feels smoother. I have a mixture of both polycottons and 100% cottons. Is there a sure way to tell the difference? For thousands of years cotton has been grown and used for fabric. History has all the proof . Research ! And remember the past ! Well done. 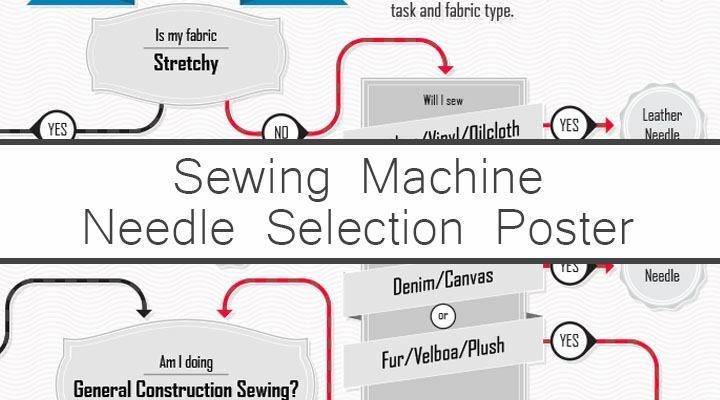 Good to see this discussion – it’s one that craft/sewing people need to have. On top of making fabric, there’s dying and shipping, too. Do you know anything about the fair trade or labor aspects of fabric? Hi! It’s quite a large area of study – any aspects in particular you’re curious about?